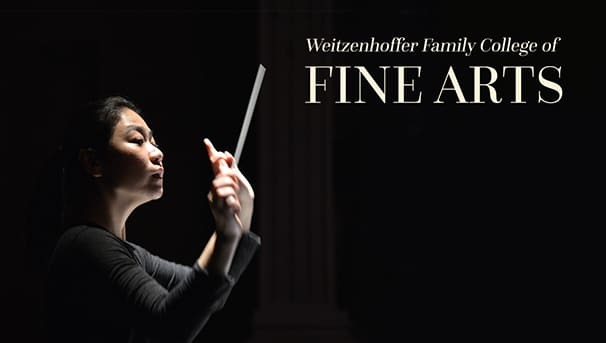 The Weitzenhoffer Family College of Fine Arts celebrates the universal language of the arts and the integral role the arts play in the improvement of the human condition. More than 1,000 student artists are currently enrolled in one of our five prestigious schools. 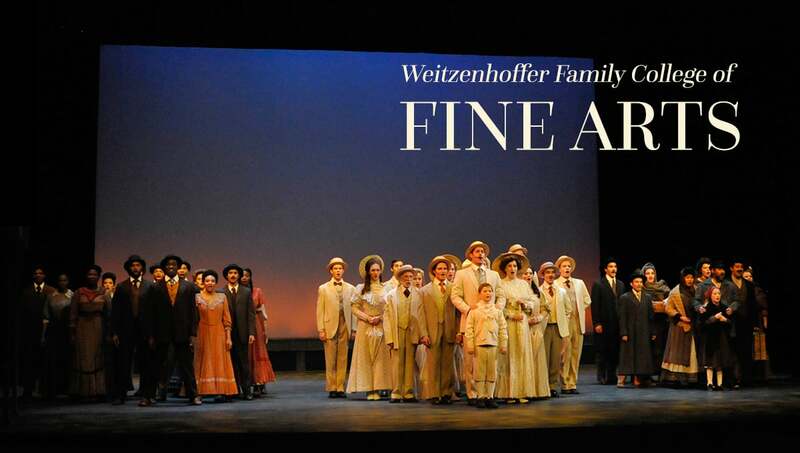 Our students are dedicated to their craft and the Weitzenhoffer Family College of Fine Arts provides a first-class arts education focused on scholarship and creative activities, preparing all students for a future in the arts. For all of our students, their commitment to an arts education comes at a price, and scholarship support remains a critical need to ensure that our students graduate and leave OU in a financially secure position as they head into the world to begin careers as working artists. Your support of the Weitzenhoffer Family College of Fine Arts Day of Giving Campaign will have a direct impact on this critical financial need. Scholarship donations to the Fine Arts validates the essential nature of the arts and demonstrates to our students that you believe in their futures as professional artists. We hope that you participate with a gift during the inaugural OU Give Day, and that you share this important campaign with your friends, family, and colleagues through your social media and email. Whether it is onstage, in a classroom, or in a gallery our Sooner Artists are impacting the arts now and in the future. Thank you for believing in our students and encouraging them to pursue their dreams! Whether it is buying a new paintbrush, replenishing stage makeup, or ordering sheet music for a new performance number, your donation will help alleviate the costs associated with an arts education! Students come to OU to pursue their dreams of becoming professional artists. Your $10 gift will support our students as they chase their dreams through creativity, dedication and hard work! Each year our student artists utilize countless supplies that are essential to their training and success. Whether it is a bucket of paint, a pair of ballet point shoes, or new strings for a well-practiced instrument, these expenses quickly add up and are often out-of-pocket costs for our students. Your gift will alleviate some of these inherit costs that our hardworking artists incur. Our student artists spend thousands of hours honing their crafts. With rehearsal schedules, training, and a full academic course load it is often hard for student artists to work part-time. When budgets are tight, it is our students' drive and passion for the arts that motivates them to go the extra mile (and stretch every dollar). Thank you for recognizing and feeding their passion! Our student artists believe that art is an essential component of the human experience. Whether it is through music, dance, theater, or visual arts, our students proudly showcase their work for the community and beyond through their exhibitions and performances. Your support ensures that the arts remain available for all to enjoy. A $500 scholarship helps cover tuition costs for one student artist. Contributing at this level impacts a student's journey in remarkable ways by enabling the student to focus on his/her artistic growth and reminding the student that the community believes in and supports his/her work.